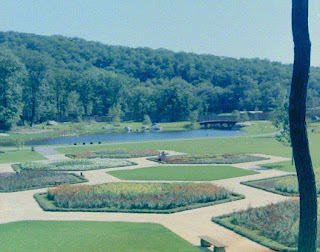 Local historian Doc Bayne is presenting the history of Sterling Forest Gardens on Sunday, November 22nd, from 1 PM to 2 PM at the Sterling Forest State Park Visitors Center. Sterling Forest Gardens opened in the 1960’s and closed in the mid 1970’s. Located in a wonderful wooded setting, the Gardens were well known for displays of spring bulbs and formal elements, such as European-style fountains. Doc Bayne, local historian and PowerPoint King, will bring the Gardens to life once again as he presents hundreds of photos of the Gardens in all their glory. Registration is required - please call 845-351-5907.